A public policy expert with more than two decades of experience in federal government (U.S. Department of the Interior and U.S. Congress Office of Technology Assessment), state, city, and non-governmental organizations, her work has been recognized with numerous professional awards. 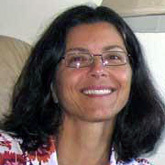 Her foundational paper in Public Administration Review,presenting the theoretical framework she devised to inform practice, was honored in 2008 with the Brownlow award for best article by a practitioner and the Dimock award for best lead article – the only incidence in the journal’s history of an author winning both of these awards for the same article. Graffy’s focus on pushing the envelope on effective governance, especially during times of crisis or paradigm shift, has been a consistent (and not always intentional) theme. She witnessed close-up the political demise of OTA and later held a number of unique government appointments designed to respond to emerging issues, such as the first national policy adviser for water quality at USGS and departmental coordinator for a White House policy initiative to gain consensus around the first multi-agency system of environmental indicators. Earlier, she was the OMB budget analyst for homeless housing in New York City just as the homeless population began to explode, executive director of a refugee project in Somalia shortly before the civil war erupted, and a mediator for agricultural credit disputes as Midwest farmers began to seek financing for new sustainability practices. She has written, co-authored, and supervised the development of many publications, from major government reports to academic articles and informal essays. She wrote the chapter on public engagement in science and technology for the background report on Civic Engagement produced by ASU for the 2012 Arizona Town Hall. Graffy holds a doctorate in environmental studies (public policy) and master’s degree in agricultural economics from the University of Wisconsin-Madison, and a bachelor’s degree in politics from Princeton University. Miller, Clark A., O'Leary, Jason, Graffy, Elisabeth and Dirks, Gary. 2014. "Narrative futures and the governance of energy transitions." Futures. Graffy, Elisabeth and Kihm, Steven. 2014. "Does Disruptive Competition Mean a Death Spiral for Electric Utilities." Energy Law Journal, 35(1): 1-44. Graffy, Elisabeth. June 16, 2014. "Carbon controls and a solar surge: Are public attitudes changing the game." Blog post on The Hill. Haines, Seth S., Diffendorfer, Jay E., Balistrieri, Laurie, Berger, Byron, Cook, Troy, Graffy, Elisabeth, et al. 2013. "A Framework for Quantitative Assessment of Impacts Related to Energy and Mineral Resource Development." Natural Resources Research.